"Starting my 15th trip to DC this year," Ali Rezaian tweeted early Monday morning. "Still don't know what the verdict is." Then he closed his eyes. Rezaian was on a redeye flight from his home in northern California. 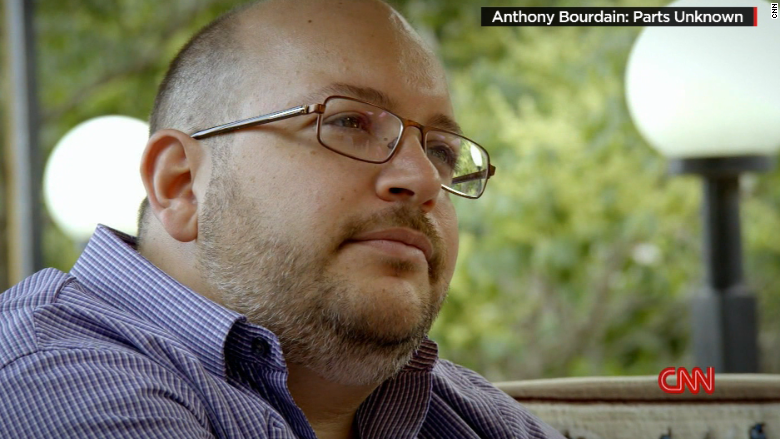 By the time he landed, Iranian media reported that the verdict in the trial of his brother Jason Rezaian was guilty. He turned his phone back on and was flooded with emails. Ali was saddened but not surprised. He'd been steeling himself for this moment for months. 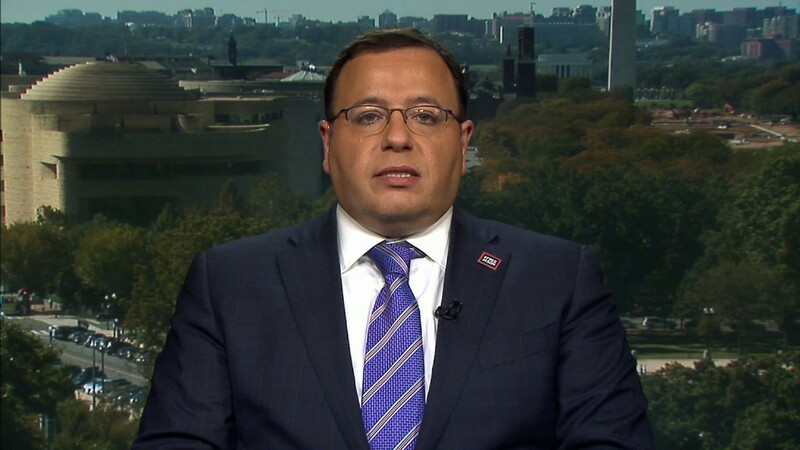 Ever since Jason, The Washington Post's correspondent in Tehran, was detained there in July 2014, Ali has been the family's spokesman and chief advocate in the United States. His work as a consultant in the biotechnology sector has taken a back seat during his many trips to Washington and television interviews. Before he left for D.C., he taped an interview for ABC's "Good Morning America." As he does in every interview, he reiterated that his brother should be freed immediately. On the ground in Washington, Ali drafted a statement about the guilty verdict. While a public relations firm has been helping the family manage interview requests — Ali received dozens on Monday alone — he has steered the messaging and been the face of the #FreeJason campaign. Speaking with CNN's Wolf Blitzer on Monday afternoon, he said the accusations of espionage are baseless: "What I know is Jason is innocent." Then he encouraged viewers to go to change.org/FreeJason/ and sign a petition requesting Jason's release. At the end of the day, after a half dozen more interviews, Ali spoke with me for half an hour, and somehow he didn't sound exhausted. He wanted to keep the focus squarely on his brother's ordeal. He sometimes feels guilty that he's free, living a semi-normal life, while Jason is locked up. As for his own role, what's most exasperating is the unpredictability of it all. "You just never know what's going to get thrown at you next," he said. Case in point, his hastily-scheduled redeye flight to D.C. He'd been awoken the prior night when a semi-official Iranian news agency said a verdict had been handed down in Jason's case. There had been false alarms before, but this time it seemed to check out. Ali spent the day Sunday trying to find out what the verdict actually was. His wife Naomi Tamura and 7-year-old son Paxton have grown accustomed to his sudden trips. Paxton recently asked him, "Dad, will you be home on Halloween?" "There's only one thing that will stop me from being here," Ali answered. "Uncle Jason?" Paxton correctly guessed. "That's fine." Ali's second-grader understands at least some of what is going on. When Ali describes why and how he has put his life on hold for his brother, he thinks back to 2011 when Jason did something similar for him. When Ali's other son Walker, age 5, died from an H1N1 swine flu infection, "Jason dropped everything to support us," Ali recalled. But Ali quickly took charge in the United States while their mother Mary made numerous trips to Tehran. Other employees have picked up most of the workload at the consulting firm Ali owns, something which he is grateful for. He has logged 150,000 miles since February. Sometimes his trips are for meetings with government officials or liaisons that turn out to be of little help. Other times they do bear fruit. It is all "incredibly unpredictable," he said. During his family's only recent vacation -- in July, when they traveled to the south of France -- the U.S. and other world powers reached a historic nuclear deal with Iran. It was a moment of renewed press attention and renewed hopes for Jason's release. So that night Ali taped a shaky Skype interview with CNN's Anderson Cooper. His family skipped the Bastille Day fireworks show nearby. At times Ali must seethe with fury about the length of the proceedings, maybe even feel flashes of anger toward his brother for taking a correspondent posting in a treacherous country. But he keeps those feelings close and he stays on message. "You go through the entire spectrum of emotions," he told me on "Reliable Sources" back in December. "There are times where I say, 'You know, I didn't sign up for this, it wasn't my job.' But I need to take care of my brother and I need to do whatever I can to bring him home." Early on, Ali and other family members combed through the archive of Jason's articles, looking for clues about why he was singled out by the Iranian authorities. Was it something he wrote, or perhaps something he didn't write, that offended the government? But Ali said nothing jumped out at them. "One of the last stories he wrote was about the Iranian national baseball team," Ali said. "He really loved to be able to give people outside of Iran a better view of what society is like there, and what real life is like there." Ali has only been to Iran twice as an adult. Until Jason was detained, most of what he knew about the country came from news stories from his brother and others. He's received a crash course in what he called the "byzantine structures" of the Iranian government. "There's constant stress about possibly saying the wrong thing, doing the wrong thing," he said. Ali has not been allowed to speak with Jason once. He only gleans information about his condition from Yeganeh and Mary. The Post hasn't been allowed to send any editors to Iran, either. Ali said the newspaper's support has been unequivocal: "I can't imagine what it would be like to deal with this without them." Some days are tougher than others. Naomi, at home in Mill Valley, California, said she can see the toll it's taking on Ali. Monday was the couple's 19th wedding anniversary -- the first anniversary date they couldn't spend together. Ali had to cancel the couple's plans before he boarded his redeye flight to D.C.
"We will celebrate another day. Today is a day to be focused on Jason and his case," Tamura said Monday night. "Ali is doing what he needs to and we, as his family, support him 100%."